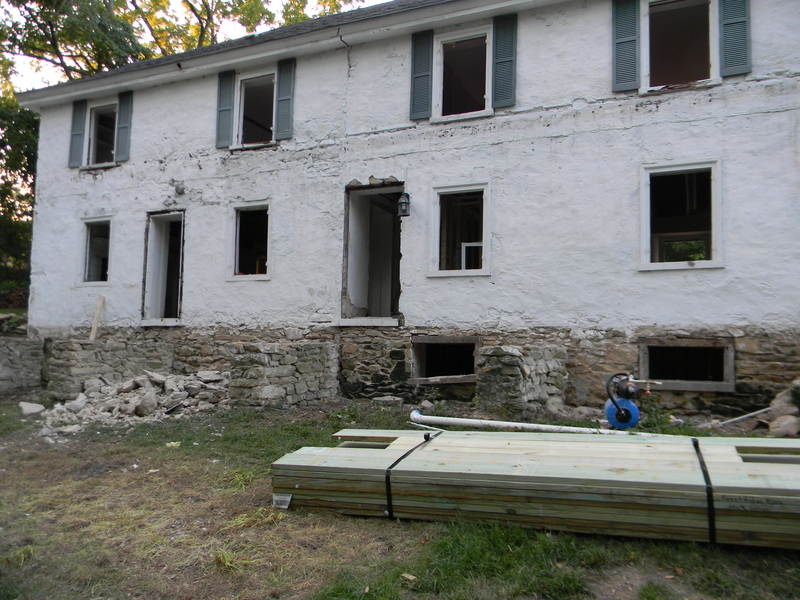 At the start of this project, when I was still very naïve, I thought we could just replace a few floorboards on the porch — a project that probably even Chris could handle. 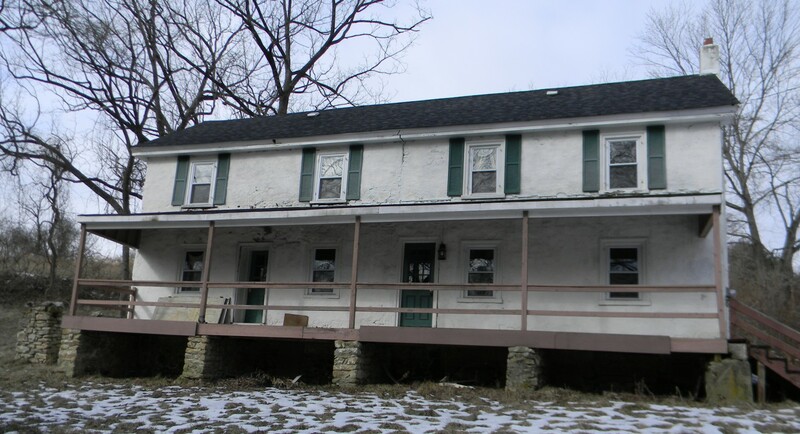 Then we noticed that the porch wasn’t exactly attached to the house and was precariously ready to fall into the front yard. 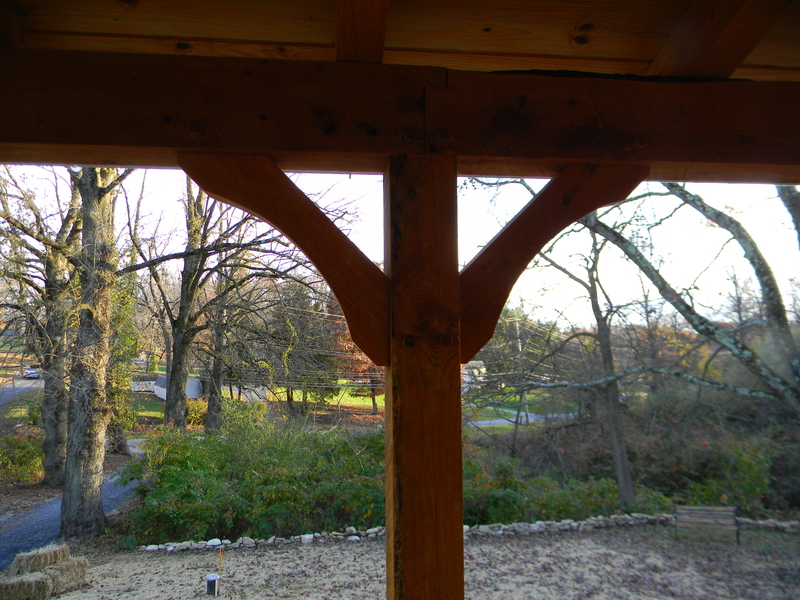 Then John told us he had a vision for the front porch that was “just what this house needed.” He talked of Mortise and Tenon construction, no nails or screws and wooden pegs. 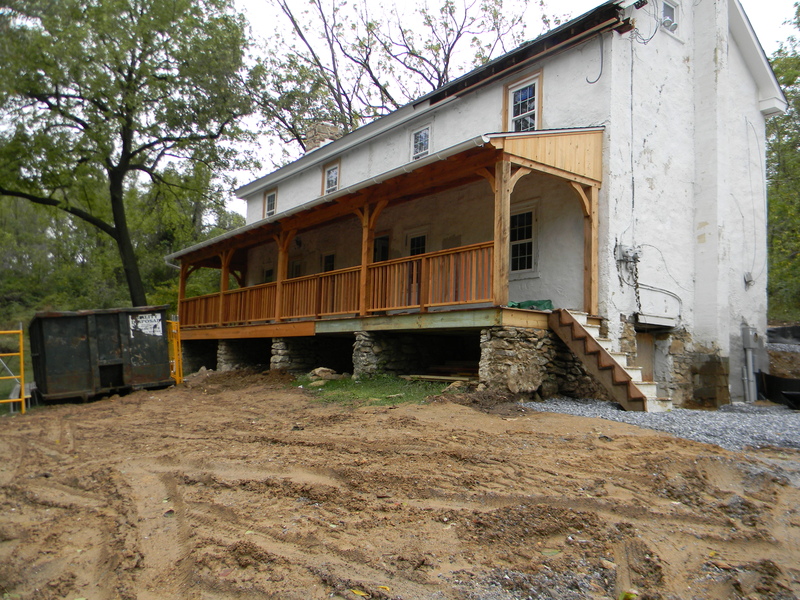 He talked about mahogany floor boards and hemlock beams. Chris thought it sounded wonderful. I thought it sounded expensive. We went through rounds of designs, talked about other types of lumber and agonized over whether to spend that much money on a front porch! 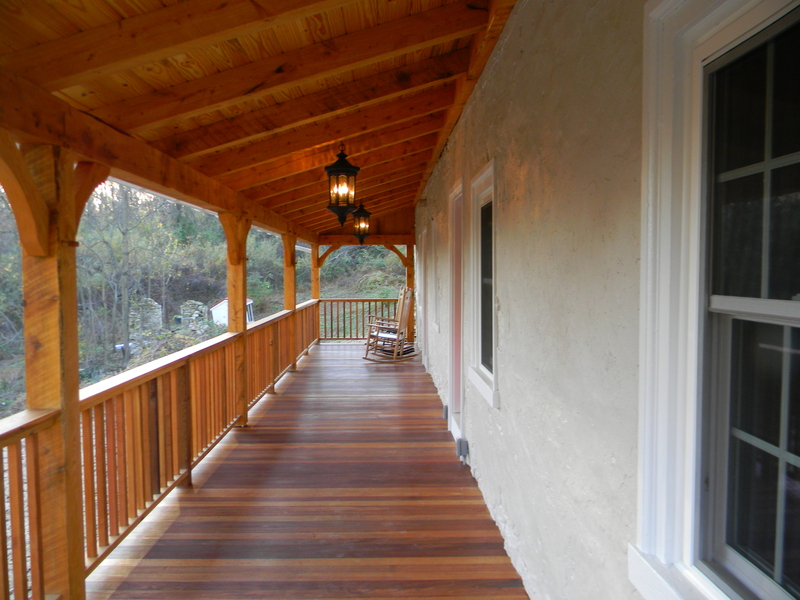 But a front porch is a first impression — and it’s where we will sit for a cup of coffee early in the morning — or a drink at the end of the day, so we figured it might as well be beautiful. All we needed was a set of rocking chairs to make it complete. And one day we came home to two large boxes on the front porch (Thank You Len!)!! 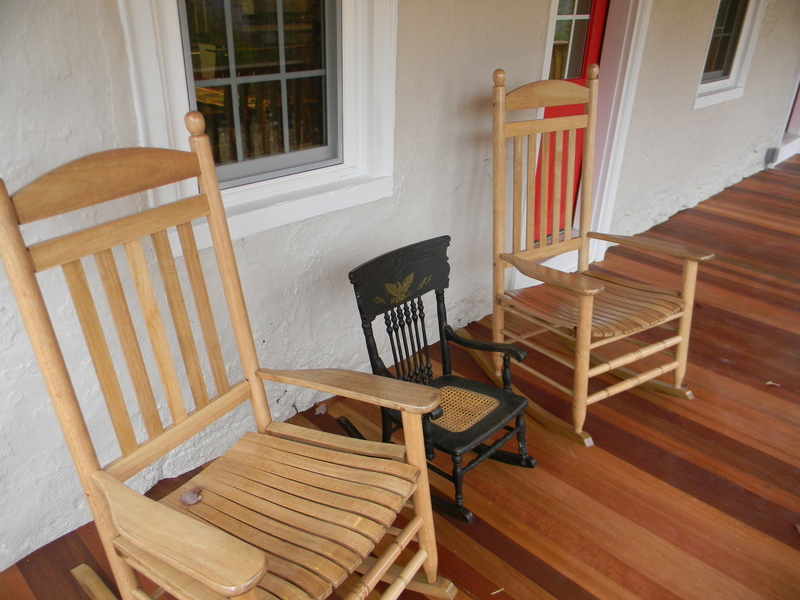 So, watch out Ma and Pa Kettle — we’ve moved in and we have the rocking chairs to prove it! 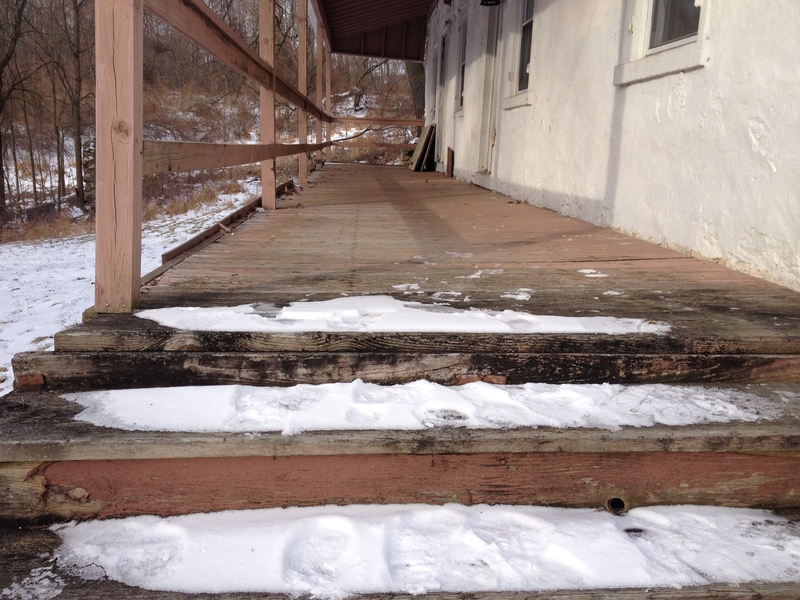 The Porch — It’s repairable — right? Mud, temporary stairs and a dumpster. Not quite ready for the “after” picture just yet. 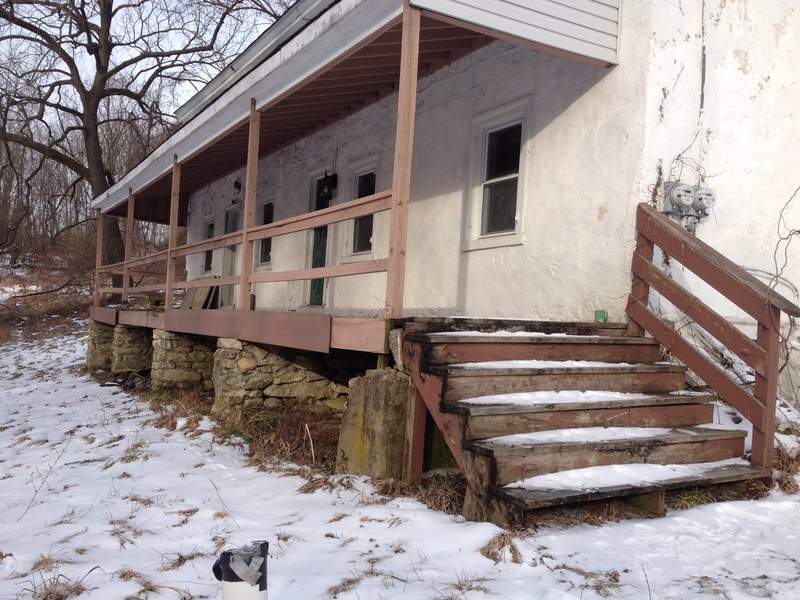 A great porch for rocking chairs with a view of the springhouse ruins. Mahogany floor boards and hemlock beams. Mortise and tenon construction with wooden pegs. A great place to sit and watch the deer roam by, if we only had time to sit. Soon…. Ready for Ma and Pa Kettle — and Arianna. 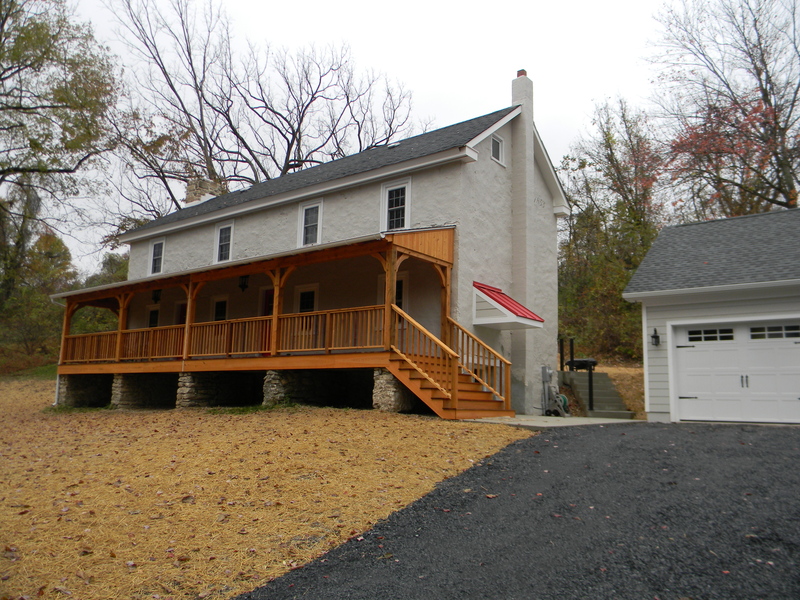 The porch is gorgeous! What a great place to sit back and have some wine after a long day or that morning cup of coffee. Wow! Looks super! Will you dress for Halloween and sit in those chairs with a boiling cauldron? Lol! Don’t suppose you will get too many trick or treaters anyway!? It really is beautiful! Love it! You “nailed” it on the first impression! I know you realize you successfully accomplished a major under taking with major results. Congratulations ! 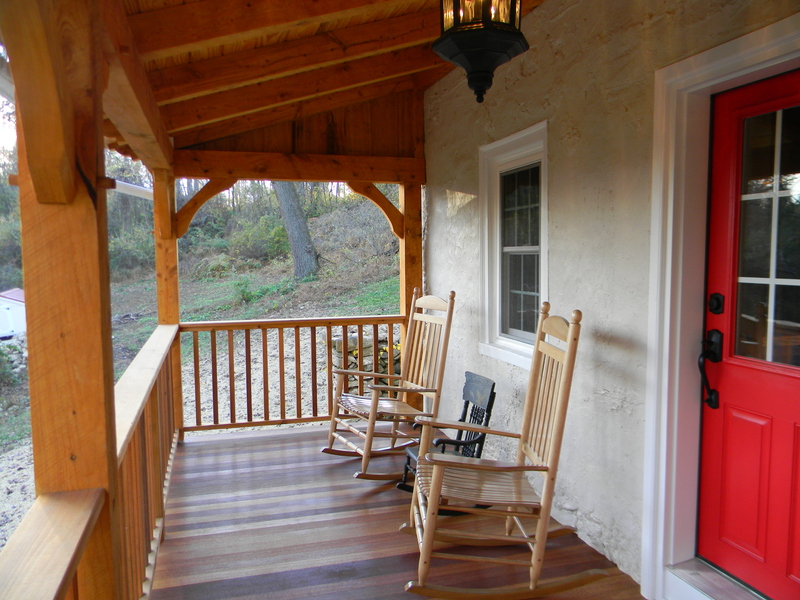 I am looking forward to sitting a spell on your porch and enjoying the view. 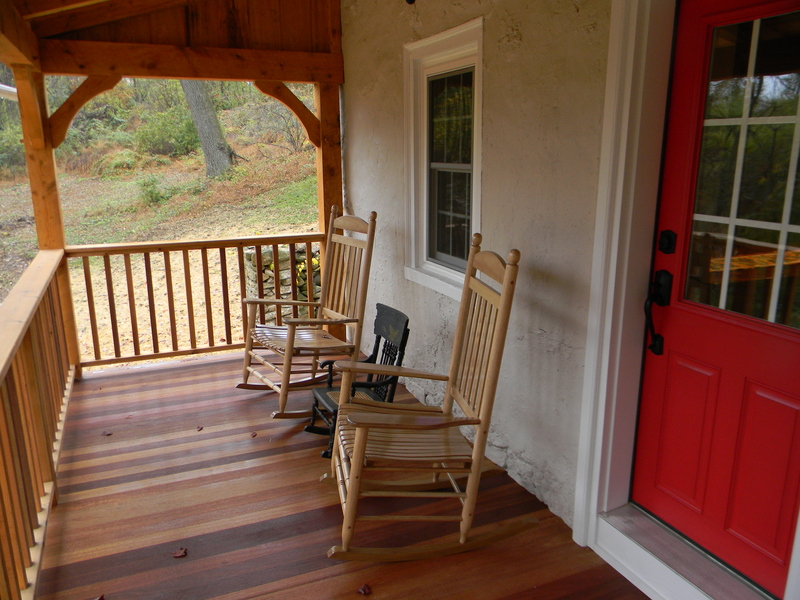 By the way, your porch floor looks better than my dining room floor. .Great Job ! John was right, and you were right in taking his advice. It is truly beautiful!